Isn't it time to finally work on your business? If you're a creative rebel or original thinker doing unique, out-of-the-box work, it's likely been a long time since you took the time to work on what you need. Come spend four days in the most beautiful place on Earth and get the heart and soul of your brand completely dialed in. It's hard to grow your business until you get the messaging right—and to do that, you need to be able to articulate who you are and specifically how you're brilliant, who your clients are, how you can help them be more amazing, how you're different... and why all that matters so much. Maybe your business has evolved and what's on your website is a remnant of who you have been, and you don't know how to fix it and bring your messaging into alignment with the person you've become. Or maybe your ideal client has changed. Until you know your brand from the inside out, it's almost like you can't help but say things that are vague and waffly or stiff and boring, Confusion does not convert. Branding that taps into who you are and why your work is life-changing does. Hey prospect! Listen to my canned (wooden, boring, meaningless) spiel that doesn't make you feel anything or connect to a need you have. Hey prospect! Uhm...uh...I uh do this really amazing (high-concept, unusually creative) thing and here's detail detail detail of how I do it so wanna hire me? Hey prospect! I do Really Important Work that's full of complexities and I want you to know that I'm The Best Person Who Can Do This Work. My jargon and marketing-speak proves that I'm a qualified, intelligent expert, and if that doesn't convince you, I will nail you to the wall with the details of my fascinating process until you say Uncle and either hire me or run away. As humans we're wired to slip into each other's minds and hearts and connect with the electric power, resonance and magic of language. Words are our most potent communication tool—especially when they're backed by emotion and expression--and getting the words right is critical when we're trying to enlist people in our vision and bring them on board. ​Great messaging inspires our clients and moves them to action. Words that echo with the truth of what our clients secretly (or not so secretly) long for instinctively let them know that they're a good match for the work we do. When we sync up our amazing transformation with messaging that taps into our clients' needs—in their words, not ours—selling gets easier and our energy lifts into clear, expert confidence. Best of all, we can get busy rocking their world, not stumbling in sales conversations. When is the right time to look at your messaging or overhaul your brand? I would tell anyone who needs to clarify their message or wants to work on their branding that the message starts within. It starts with the heart of the why, and it is only with a clear understanding of the why behind your messaging that the clarity of everything else will come. The environment you provided allowed for the processing of some deep stuff! It was comfortable, beautiful, homey, and welcoming. The hospitality and the environment was amazing—the food, you cooking for us, the hike, the lake, the fire —heaven!! The work itself was deep. You walked us through some amazing exercises, encouraging us to always go deeper. You allowed us space to reflect and create. You challenged us with questions and you always let us know how much you cared. Through this experience I learned about me, my heart, my why. It was not about just knowing the what. You provided a space for me to go deep into my memories, realizing the impactful events of my past and how they play in my present. Thank you for being you. Thank you for opening your heart and your home, thank you for your kindness, for challenging me when I need challenging, and for providing a space for me that was safe, real, and accepting. 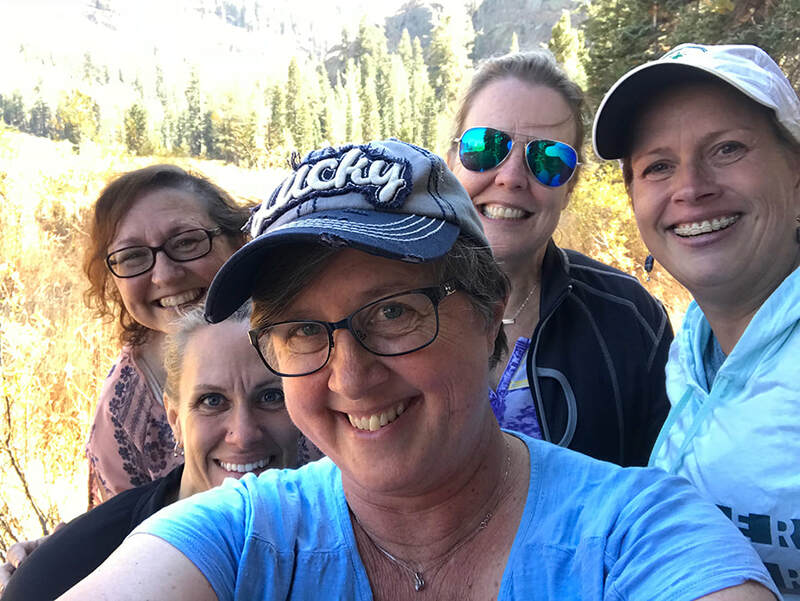 The MindSpark VIP Branding Retreat is open to four creative, inspired and big-hearted women who are ready to rise up, buckle down and take their business to the next level. 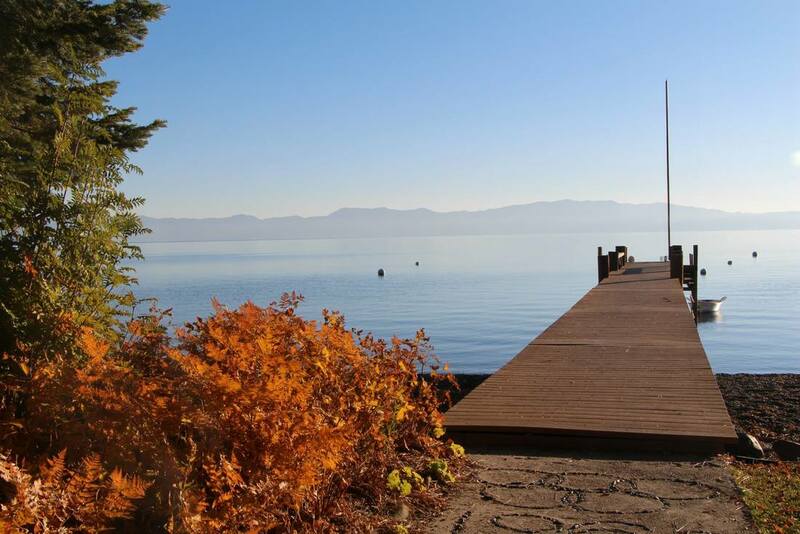 We'll be staying in a lakefront cabin on the west shore of Lake Tahoe. 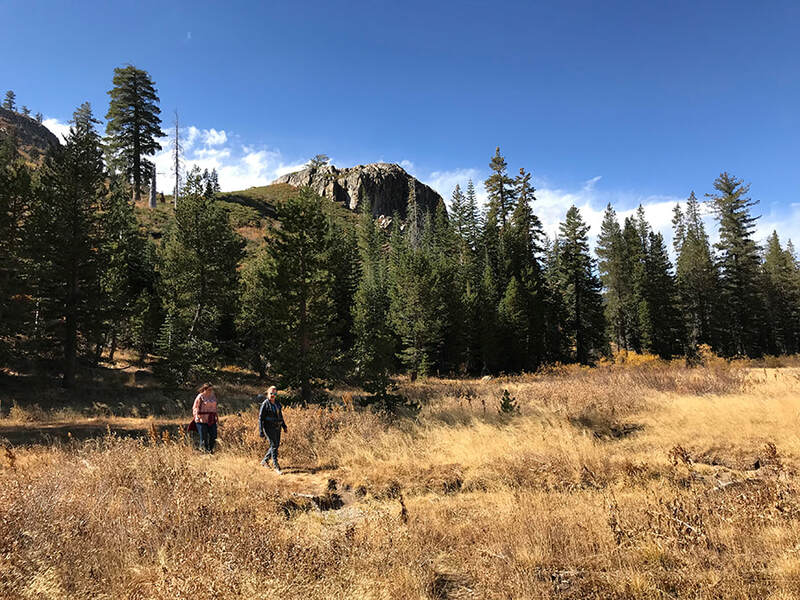 Hand-built by my father's family in the 1950s, the cabin is packed with memories and quintessential old Tahoe charm as well as a huge stone fireplace to work by and a stunning view. 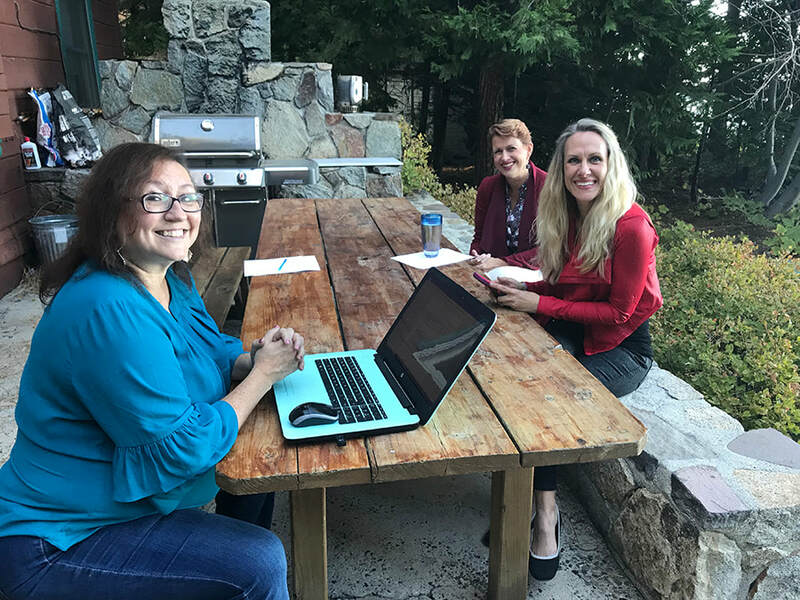 Depending on the weather, you can journal or meditate on the dock, enjoy your coffee on the beach, work on your branding outside on the big picnic table and gaze at the lake from the outdoor couches. In the winter, you'll be cozy inside while the snow blows outside. Because a messaging overhaul must come at the right time in your business, I'll want to talk with you about your business before you book your reservation. If you'd like to be a part of the Lake Tahoe VIP branding experience, please schedule a call with me today. Note: Before we get started in the morning, you'll have time for a walk or run, meditation or your favorite way to prepare for the day. 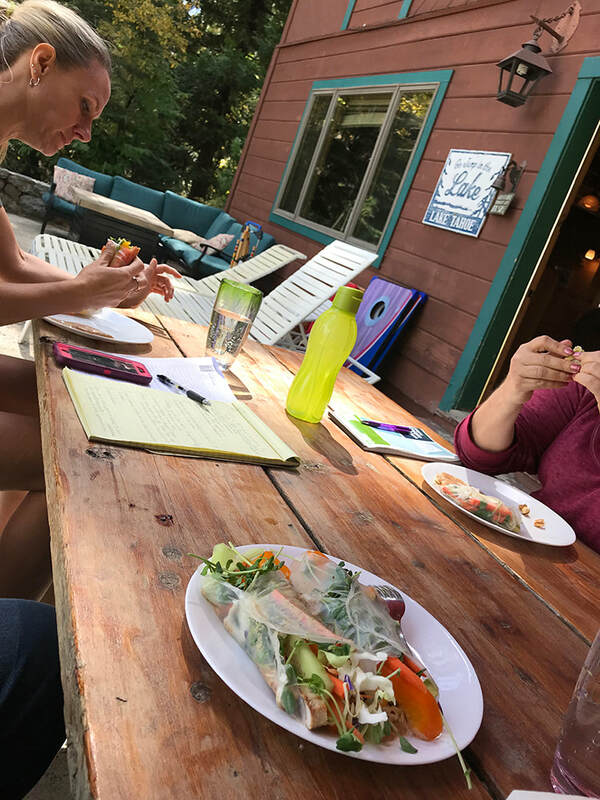 We break for relaxed, simple and delicious lunch where you can talk, relax or go hunker down and keeping working on whatever exercise we're doing. In the evenings, when things have settled down, I'll be available for one-on-one questions and coaching. Arrival Wednesday evening: Arrive, unpack, relax and enjoy. We go deep into your customers' lives and needs. Your clients are your heroes, so we find out as much as we can: who they are, what their problem is, and what they really, really want (cue Spice Girls). 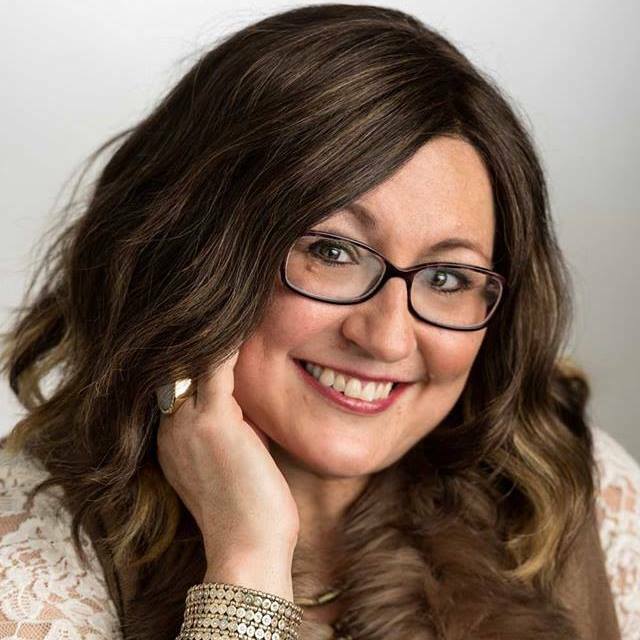 This is mind-blowing work, even for people who have been running a business for years, and rich, rich territory to create messaging that connects and resonates with the people who need you most. We'll start the morning by looking at your purpose, and developing belief statements that bring your Big Why to life inside you and your business. I won't lie–this work is a doozy and takes all day to move through. We'll break it up with an amazing outdoor adventure. Now that we've gathered all this juicy information about you, your clients, what you stand for and what your thought leadership is, we'll zero in on how to position your business against the competition. This piece wraps up by creating your Killer One Liner—no more confusion or networking nonsense! Sunday morning—Session 6: Integration and What's Next? We'll map out how to take your new potent messaging into the world in your networking conversations, web copy, marketing materials and so on. And...you'll have a chance to relax, practice your message, and bring it into your body so you feel strong and confident no matter where you are. Good thing—because next, you're going on camera! Sunday afternoon—the grand finale...aka Lights, camera, action! The final step will be to broadcast your fabulously on-point message in a new homepage video! 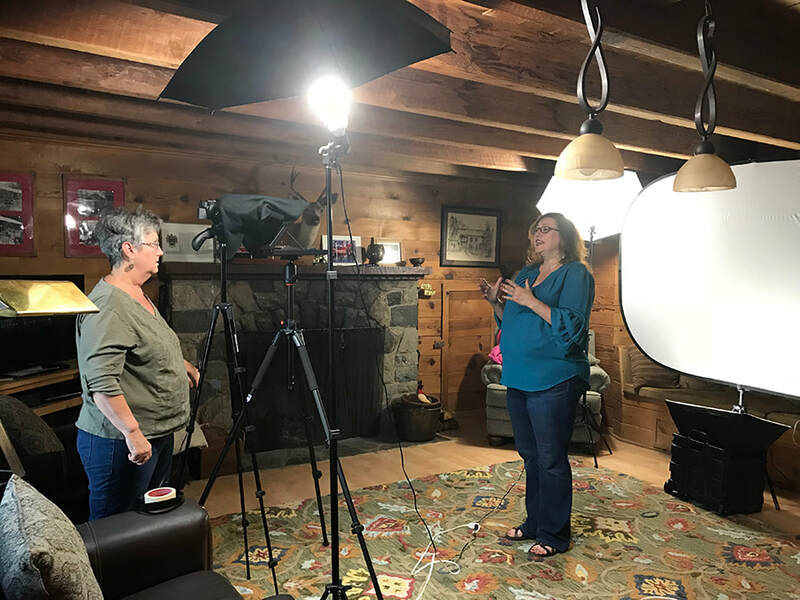 Video is a total game changer for your business, and my dear friend and colleague Marcia O'Malley of Mindful Media Services will shoot each of you in a private video session. You'll walk away with a flash drive in your pocket with your message ready to load up on your site. More extensive video options and editing are available. Sunday evening departure: ​Once your shoot is a wrap, you're free to go—or sit out by the lake with a celebratory cocktail! The green room—last minute practice! 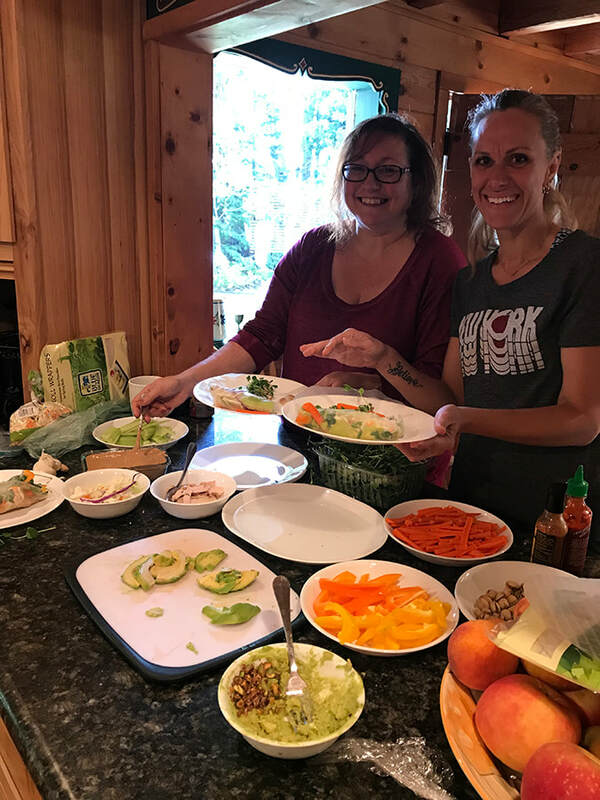 Your room and all meals from thursday morning to sunday noon are included: Breakfasts will be fresh fruit, yogurt, coffee/tea and locally baked breads. Lunches will be fun, fresh, delicious and easy, and dinners adventurous and mouthwatering. Please let me know if you need anything special dietary-wise. The cabin has a variety of twin and queen bedrooms. Most have a lake view, all are first come, first, served. Shared bathrooms are in the hall. Reno is the closest airport and an hour away. I'm happy to help arrange ground transport to/from the lake. I am now taking deposits for the next retreat. Please book a call with me to discuss where your business and brand are to make sure the timing is right for this opportunity. ​Please reach out by email if you have any questions about logistics. Want to talk it over and see if this is the right opportunity for you? Let's talk: schedule a call here. We'll be framing all your branding work in the context of The Hero's Journey. Remember Joseph Campbell and his seminal work The Hero With a Thousand Faces? If not, click below for a quick recap.